Posted on September 9, 2014 by Hawaii's Local Buzz. Honey is remarkably high in carbohydrates, making it an excellent source of energy fpre-workout. Eating a little honey just before you hit the gym or head out for a run may give you more power to finish the workout strong, since honey is digested and absorbed slowly. 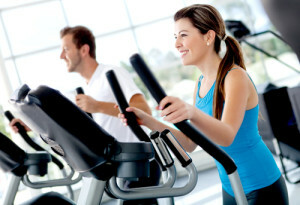 When you work out, you deplete your body’s carbohydrate stores. The sooner you replenish them, the faster you will recover. Honey’s carbohydrate content makes it a great recovery food for athletes and anyone getting back into the workout saddle. Pair it with a food that is high in protein for a great post-workout meal that will have you feeling energetic again in no time. Add a few drops of water to your pre-workout water bottle. It will make your water more enjoyable, and give you energy to power through your workout. Recover from a tough workout with a peanut butter and honey sandwich. It’s portable, so you can enjoy it as soon as you finish at the gym. Dip your fruit in raw honey from Hawaii to give it a touch more sweetness and an energetic punch. If you want to truly experience the greatest health benefits from honey, the secret is buying all-natural, raw, unfiltered honey. Contact Hawaii’s Local Buzz to learn more about our raw honey from Hawaii, or visit our website to place your order today.